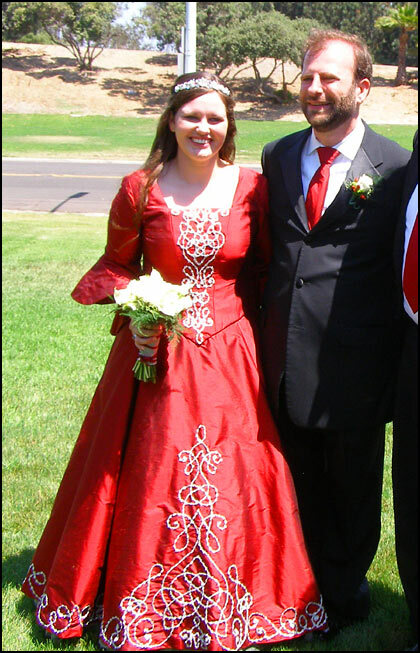 A gorgeous Celtic gown, drafted and sewn by Elizabeth Chambers for this pretty bride. 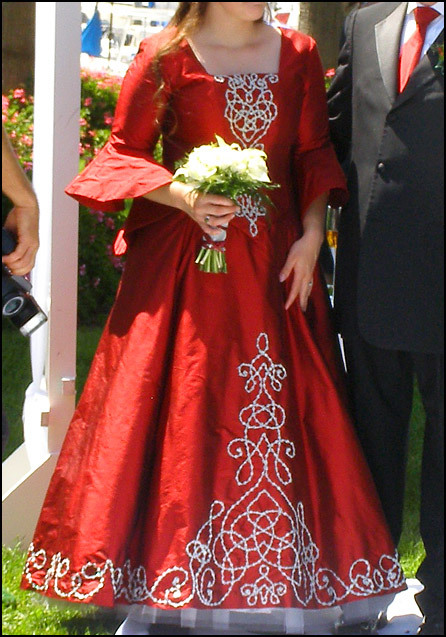 I designed all the knotwork for the bodice and skirt hem, which was then embroidered by hand by Beth. 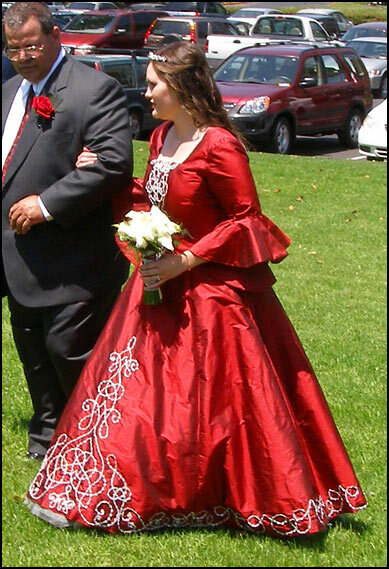 A very rewarding project, especially when you see how beautifully the final dress turned out!